Donating your eggs is a generous and compassionate way you can provide hope for women and couples who have had difficulty conceiving on their own. While most women make this decision to help those who suffer from infertility, the financial compensation plays an important role in the decision-making process. Our team of fertility specialists at Pacific Surrogacy & Egg Donation have helped many women and couples realize their dream of parenthood through egg donation. We can help you understand the costs that are included in an egg donor compensation package at our Los Angeles, CA, treatment center. While the total amount of compensation can vary from donor to donor depending on experience, certain items in the compensation package will be covered for everyone. All donors will receive at least $7000 for the first time donation, however donors with prior experience or rare donor background may receive over $10.000 for their donations. If you would like more information about our egg donation compensation packages, please contact our office to make an appointment with a member of our team or fill out our online application so we can advise you better regarding compensation and next steps. Medical expenses: All medical costs associated with your egg donation cycle will be covered by the intended parents. You will not have to pay any out-of-pocket expenses for procedures related to your treatment cycle. 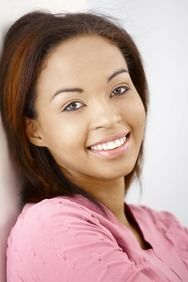 Egg donor insurance: The intended parents that you are matched with will be responsible for buying an insurance plan that covers the costs of any complications that may arise during the egg donation cycle, including the retrieval procedure and any negative reactions to fertility medications. Legal fees: We work with excellent attorneys who have a wealth of experience and knowledge with the entire egg donation process. You will be counseled on the rights and responsibilities that are expected of you prior to signing any agreements related to your egg donation cycle. Our attorneys will draw up these contracts between you and the intended parents, and you can rest assured that your rights will be thoroughly protected. This legally binding contract will cover the total amount of compensation, any medical testing or procedures that may be required, insurance obligations, what is expected from both parties, and any issues related to parental rights. Travel expenses: If you are required to travel as part of your egg donation cycle, all costs will be reimbursed to you by the intended parents that you are matched with. This can include airfare for you and a traveling companion for support, hotel accommodations, transportation to and from appointments at our office, and a per diem to cover additional expenses that you might incur during your travels. Providing parents with the possibility of starting a family can be a priceless gift. If you would like to learn more about the egg donation process and our compensation packages, please contact our office to schedule a consultation with one of our skilled physicians.